Questo articolo è stato pubblicato in self memo, Uncategorized e contrassegnato come Gnu Grub, ntfs, ntldr, Ubuntu 12.04, Wubi, wubildr da piergiu . Aggiungi il permalink ai segnalibri. Is there any solution to fix that? I’ve noticed also your other comment on previous post about ubuntu 12,04 on windows with wubi. I had the same error you descrive when starting my new ubuntu 12.04, and that is because I installed 12.04 in a pc where previously I had 11.04 (removed andd forgot about it). The error was cause by the old wubildr configuration files that you have to put in the reserved partition of windows , because those files where addressing the old version of the fake ubuntu disk of my previous version of ubuntu. I remove those file in reserved partition and put the updated version of those file that you can find in ubuntu installation directory as explained by the two blog post. note that I copy the files, and doing so I have a copy of that files in the reserver partition and a copy in the ubuntu installation directory. 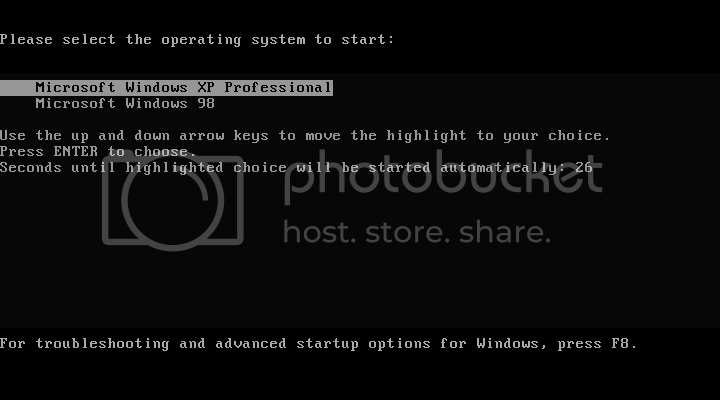 You say that the error comes not in windows bootloader (when you choose from windows or ubuntu, not grub, only black and white colors, like this image of ntldr http://i65.photobucket.com/albums/h216/jayuz_x7/f9e76bbb.png ) but in grub, is that right? It may be that wubildr is missing in the ubuntu installation directory? Is that the case also for you? Hi. I hope you will repsond to this. I have been using ubuntu now for some time. I followed your steps, but there is nothing like Reserved for.. I will try to spot the problem with your help! 🙂 let’s do this! This problem that I described in this post, comes from an installation of ubuntu with wubi, or so to speak with the use of program called wubi started inside of windows (in my case windows 7 machine). 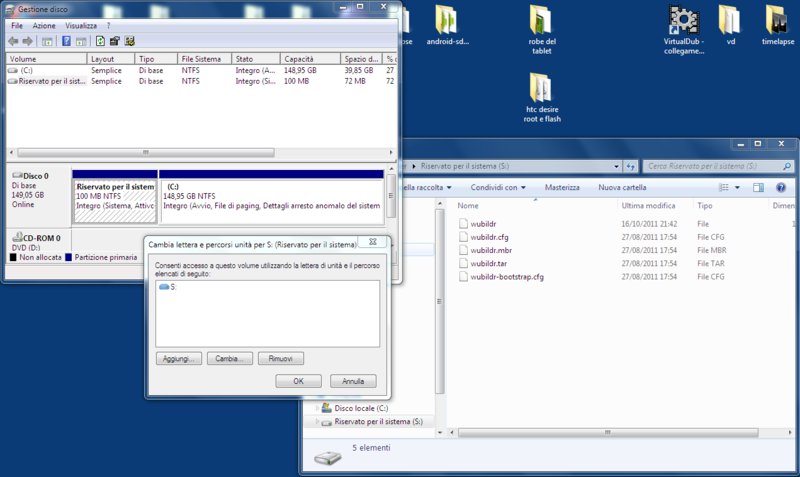 Windows 7 usually creates 2 partition, C:\ plus a hidden one with a very small size, usually 100MB. The boot process is managed by the windows boot loader manager that let’s you choose between windows 7 or ubuntu. if you choose ubuntu then the windows bootloader system passes the call to the gnu grub bootloader that is inside the( windows) folder were you’ve installed ubuntu (for example: c:\ubuntu). the gnu grub then tries to find the wubildr inside all the partitions of your computer (I don’t know why) , and after a few minutes hanging it starts because it finds wubildr installed in c:\ubuntu. the trick I used to solve this problem is to put those files needed by gnu grub , somewhat ready to use and to be found. Is this your case? I’ve got this problem(and solved copying files like I said) with a fresh installation of ubuntu and with an fresh install of a new version ofubuntu through wubi(because in this case you need to update those files, that what this post is). Reserved for system is a merely traduction for what I found in my machine, but It was empty (it had hidden files) to me too. check that has a 100MB size or similar, the simply copy those files needed by the loader. If it was installed by wubi (What I am assuming in this response, otherwise it is a different problem) , everything should start fine at reboot. Remember, this is for an installation of ubuntu made with the wubi tool that comes with the .iso of the system, it’s not a plain install with partitions created from ubuntu live cd or similar. Let me know how it goes! bye! Thanks! Where can i get those files? Those files are in the folder called winboot inside ubuntu installation directory, the one you choose during wubi installation. Yah that partition may vary in size but usually is relatively small . I dont have many important files on ubuntu. Would deleting and reinstalling help? Yeah, i did. It didnt work.. I have googeld it so many times, i think it has something to do with a corrupted update or something..
Hello there, I’m sorry to hear that, but you can still retrieve your files using a ubuntu live cd, find those file you need, make a backup of them and then try to restore o reinstall windows!